The World Health Organization reports that Alzheimer's disease and other forms of dementia will increase three-fold by 2050. And according to studies conducted by UCLA 5.5 million Americans currently, suffer from Alzheimer’s. This number is expected to be around 15 million by 2060. 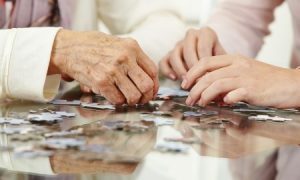 The early detection of Alzheimer’s is of extreme importance and there are a number of warning signs for loved ones to look when interacting with elderly family members. Here are some of the top Alzheimer's disease signs and symptoms. The proper functioning of fine motor skills is often a casualty to Alzheimer’s disease. This decline in motor skills can manifest itself in ways like struggles with tying shoes, buttoning clothes, or making use of eating utensils. Alzheimer’s disease can be extremely debilitating for elders and a cause of much sadness to family members. Recognizing the signs of Alzheimer’s is crucial as early detection of the disease affords Alzheimer’s experts like those presently at work at the Maple Wood of Sauk Praire, in Sauk City Wisconsin. Alzheimer's Disease. (2017, May 08). Retrieved December 24, 2017, from https://www.psychologytoday.com/conditions/alzheimers-disease Alzheimer's Disease Fact Sheet. (n.d.). Retrieved December 24, 2017, from https://www.nia.nih.gov/health/alzheimers-disease-fact-sheetDementia vs. Alzheimers Disease - What is the Difference? Two of the most common diseases that adversely affect memory and cognitive functions are those of dementia and Alzheimers disease. These two conditions are oftentimes used interchangeably due to the very similar effects that they cause. However, there are some key differences between the two that you should be aware of, especially if someone close to you has been diagnosed with one of these diseases. What is Dementia? This term basically refers to an umbrella of symptoms that tend to display themselves as memory loss. These symptoms generally affect thinking, memory and social abilities. There are a wide range of causes of this syndrome, including Alzheimer's disease, Parkinson's disease, and Huntington's disease. Despite the fact that this condition is generally referred to as a syndrome instead of a disease, it can worsen with time, largely depending on the cause of the symptoms you face. What is Alzheimer's Disease? Alzheimers disease is one of the common causes of the aforementioned syndrome, appearing in an average of 60 percent of cases. The main symptoms of Alzheimer's include confusion, impaired thought, and impaired speech. There are a wide selection of tests that can be administered in order to determine whether or not you're suffering from Alzheimer's. These tests can also identify if the reason for some of your memory loss is due to the development of a separate condition. Primary Differences Between These Two Diseases The primary difference between Alzheimer's and dementia is simply that dementia is the syndrome and Alzheimer's disease can be the cause of that syndrome. Dementia is more so a set of symptoms that could indicate the presence of a wide range of conditions. To better understand dementia, it could be compared to a sore throat or a runny nose. Either of these symptoms could be the sign of springtime allergies or a common cold that you're suffering from. In the same way, the cause of dementia (the syndrome) could be Alzheimer's or several other diseases. It's also important to understand that Alzheimer's is not reversible, while some causes for the dementia have the ability to be reversed. Alzheimer's is a degenerative disease that comes in the form of stages. The symptoms will worsen over time. People who are diagnosed with Alzheimer's typically have 8-10 years to live. In the early stages of Alzheimer's, the symptoms may impact how a person lives their everyday life, but that person will still typically have the ability to lead an independent life. Once the middle-stage is reached, the symptoms become more severe, oftentimes causing the affected person to become confused or even refuse to eat for a period of time. This is caused by damage to the nerve cells within the brain. This is the longest stage of Alzheimer's and can last for a multitude of years. Once Alzheimer's disease reaches its late-stage, the person afflicted with the disease will require around-the-clock care and will display a severe degradation of cognitive and memory skills. Alzheimer's is one of the most severe causes of dementia. However, if the memory and cognitive issues that are experienced can be attributed to some other cause, it's possible for the symptoms to be improved or reversed. Causes of dementia are divided into three basic groups; those of progressive types, those that are simply linked to the syndrome, and those that are wholly reversible. The conditions related to dementia that can be effectively reversed include infections, immune disorders, nutritional deficiencies, subdural hematomas, and even adverse reactions to medications. For instance, dehydration can cause some of the symptoms that appear with this syndrome. The most important thing for you to do if you suspect that yourself or someone close to you is suffering from one of these conditions is to actually seek medical care to identify what exactly you're suffering from. For those that have been diagnosed with dementia or Alzheimer's disease, Maplewood of Sauk Prairie provides a wonderful center of hope. Our facility offers amazing care including skilled nursing, memory care activities, physical therapy, social activities and a strong network of resources for the family. Feel free to contact us at 608-643-3383 to speak with us about our Alzheimer's and dementia programs.Your memory. It contains all of your thoughts, life experiences, past events you've attended and names of your friends and family members or even the items that you need to buy at the grocery store. Your memory is the book of your life, past and present, that is kept tucked away within your mind. As we age, it's not uncommon that our memories aren't as good as they once were. However, for some, memory loss can be related to a clinical condition such as dementia or alzheimer's disease. This can be extremely difficult for those that suffer from memory loss as well as their husbands or wives, sons or daughters, or any of their caregivers. At Maplewood, we understand the impact that memory loss, including dementia and alzheimer's disease, can have on a family. You want the absolute best for those that you love and that's exactly what we want as well. If you have a loved one that needs memory care treatment, we encourage you to call us and speak with us directly about how we may help. Call us at 608-643-3383. We would be happy to talk with you and answer all of the questions that you may have. Kimberly Williams-Paisley, wife of country artist Brad Paisley, has opened up about the struggles that her mother has faced. Her mother was diagnosed with Primary Progressive Aphasia, a form of dementia that is incurable. Her mother's diagnosis came in 2005 after she began to act irrationally during Kimberly and Brad's wedding. Her mother who now resides in an assisted living facility continues to struggle with the illness. In her NBC interview, Kim states, "I've learned the same thing from my children that I've actually learned from my mother, and that is to be in the present,'' she said. "And I think that's actually a gift that my mother got from dementia. And I think my kids have a similar sense about it. They don't go and look at my mom and imagine how she used to be." Unfortunately, there is no know cause of PPA. Although it typically effects the left hemisphere of the brain, it continues to be a very elusive illness. Researchers and physicians are testing a variety of medications for PPA, however, there is no cure for the disease. Here is an informative video on dementia from the Dementia Society of America To learn more: Dementia Society of America Dementia is an umbrella term for the loss of cognitive function associated with a number of neurological conditions such as Alzheimer's disease, Lewy body dementia, Huntington's disease, and traumatic brain injury. This loss of cognitive function results from the death of once active nerve cells in the brain. The common threat between these conditions is the loss of a person's ability to think, remember, and reason. Symptoms of dementia often include difficulties with visual perception, language skills, and ability to pay attention. Some people also suffer from the inability to control their emotions. There are many causes of dementia. Some dementias are reversible, and some are progressive. Dementia caused by infections, metabolic disorders, nutritional deficiencies, and poisoning may be reversed with appropriate therapy. However, progressive dementias such as Alzheimer's disease, vascular dementia, and frontal temporal dementia only get worse with time. So being diagnosed with dementia is often a frightening experience. The diagnosis affects not only the patient, but also their families, loved ones, and caregivers. Furthermore, many individuals have what is referred to as mixed dementia, meaning: They suffer from multiple causes of cognitive dysfunction, and often the cause of dementia is not known. The major risk factor for dementia is age, although dementia is not a normal part of aging, and many elderly people maintain high levels of cognitive function well into the 90s. 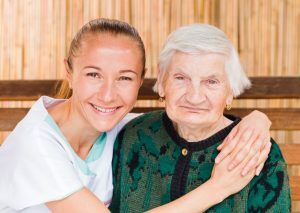 Dementia vs. Alzheimers Disease – What is the Difference? Two of the most common diseases that adversely affect memory and cognitive functions are those of dementia and Alzheimers disease. These two conditions are oftentimes used interchangeably due to the very similar effects that they cause. However, there are some key differences between the two that you should be aware of, especially if someone close to you has been diagnosed with one of these diseases. This term basically refers to an umbrella of symptoms that tend to display themselves as memory loss. These symptoms generally affect thinking, memory and social abilities. There are a wide range of causes of this syndrome, including Alzheimer’s disease, Parkinson’s disease, and Huntington’s disease. Despite the fact that this condition is generally referred to as a syndrome instead of a disease, it can worsen with time, largely depending on the cause of the symptoms you face. Alzheimers disease is one of the common causes of the aforementioned syndrome, appearing in an average of 60 percent of cases. The main symptoms of Alzheimer’s include confusion, impaired thought, and impaired speech. There are a wide selection of tests that can be administered in order to determine whether or not you’re suffering from Alzheimer’s. These tests can also identify if the reason for some of your memory loss is due to the development of a separate condition. The primary difference between Alzheimer’s and dementia is simply that dementia is the syndrome and Alzheimer’s disease can be the cause of that syndrome. Dementia is more so a set of symptoms that could indicate the presence of a wide range of conditions. To better understand dementia, it could be compared to a sore throat or a runny nose. Either of these symptoms could be the sign of springtime allergies or a common cold that you’re suffering from. In the same way, the cause of dementia (the syndrome) could be Alzheimer’s or several other diseases. It’s also important to understand that Alzheimer’s is not reversible, while some causes for the dementia have the ability to be reversed. Alzheimer’s is a degenerative disease that comes in the form of stages. The symptoms will worsen over time. People who are diagnosed with Alzheimer’s typically have 8-10 years to live. In the early stages of Alzheimer’s, the symptoms may impact how a person lives their everyday life, but that person will still typically have the ability to lead an independent life. Once the middle-stage is reached, the symptoms become more severe, oftentimes causing the affected person to become confused or even refuse to eat for a period of time. This is caused by damage to the nerve cells within the brain. This is the longest stage of Alzheimer’s and can last for a multitude of years. Once Alzheimer’s disease reaches its late-stage, the person afflicted with the disease will require around-the-clock care and will display a severe degradation of cognitive and memory skills. Alzheimer’s is one of the most severe causes of dementia. However, if the memory and cognitive issues that are experienced can be attributed to some other cause, it’s possible for the symptoms to be improved or reversed. Causes of dementia are divided into three basic groups; those of progressive types, those that are simply linked to the syndrome, and those that are wholly reversible. The conditions related to dementia that can be effectively reversed include infections, immune disorders, nutritional deficiencies, subdural hematomas, and even adverse reactions to medications. For instance, dehydration can cause some of the symptoms that appear with this syndrome. The most important thing for you to do if you suspect that yourself or someone close to you is suffering from one of these conditions is to actually seek medical care to identify what exactly you’re suffering from. For those that have been diagnosed with dementia or Alzheimer’s disease, Maplewood of Sauk Prairie provides a wonderful center of hope. Our facility offers amazing care including skilled nursing, memory care activities, physical therapy, social activities and a strong network of resources for the family. Feel free to contact us at 608-643-3383 to speak with us about our Alzheimer’s and dementia programs.